The Stream inflatable supboard by Protest is the perfect standup paddle board to get you on the water. This all around board is inflatable making it easy to transport and to store. With a round nose and tail, there are 2 fixed side fins and a centre US 7.5″ fin. The D-ring makes it super easy to attach your leash and an adjustable bungee keeps your gear secure. This board comes with it’s own bag, pump, paddle and repair kit. The paddle can be broken down so that it fits nicely into your travel bag. 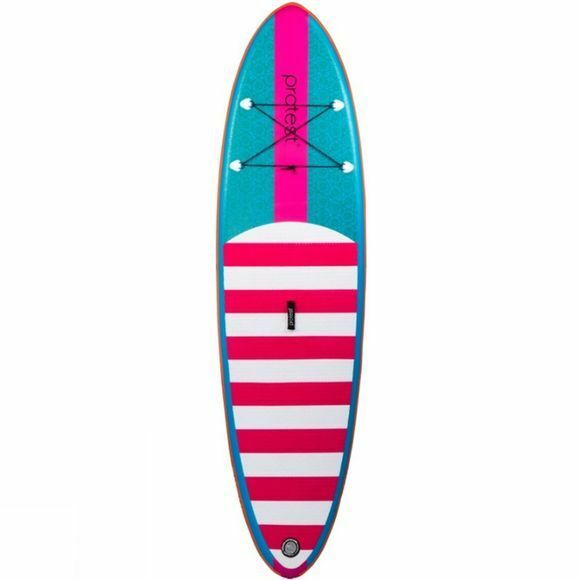 Board measurements: L 10’2″ × W 33″ × H 5″.